Quickoffice is a popular document application that was acquired by Google in June 2012. The app is previously available free for Google Apps enterprise users. 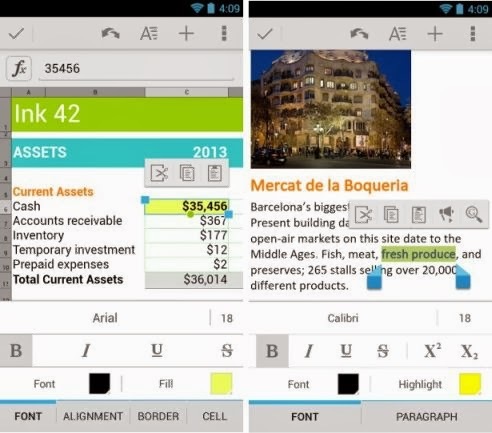 Now Google updates Quickoffice app with new features and makes free to everyone including Android and iOS users. But you have to sign in with your Google account to use this app. 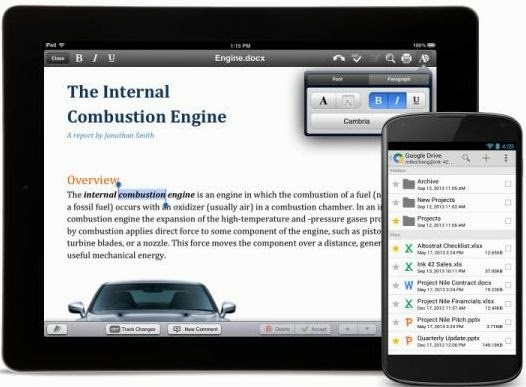 Quickoffice lets you to view and edit Microsoft Word, Excel and Powerpoint documents directly from your smartphones and tablets. The app is integrated with Google Drive, so you can save your files and access your files from any device or computer. There is an offer if you sign in to Quickoffice by September 26, you will get an extra 10 GB of cloud storage for two years.